Buying a farm can be one of the most exciting and rewarding long-term ventures. Not only will you be contributing to greater good of society by providing food, crops, or other produce, but you will also be giving your family a reliable means of living for generations to come. However, before you embark on this adventure, there are a few things you need to take into account. When it comes to buying a farm, whether you’re looking at dairy land for sale or you want to grow a bevy of crops, you need to consider how you will plan and develop your farm in a way that will be sustainable and feasible. With the help from AGPROfessionals, the top agricultural development team in Greeley and throughout the Rocky Mountain region, you can get the consulting advice you need in order to streamline the process and ensure that your farm is set up for success. From buying farmland to assisting with financing to offering geotechnical and engineering support, the pros at AGPROfessionals can help guide you through each and every step. Continue reading to learn what you need to know before you buy a farm and contact AGPROfessionals today to learn more. When it comes to owning a farm, the first thing you need to consider is whether you want to buy or lease your land. The answer to this very basic question should be dependent on your level of expertise and experience; if you’ve never been in the farming or agricultural realm before, you might be better off leasing first to make sure that you can sustain such a lifestyle. However, if this isn’t your first rodeo, you would likely benefit from buying your farmland outright. Whichever decision you choose, having an agricultural consultant on your side will benefit you greatly. At AGPROfessionals, we can aid in financial planning, development strategy, and even help you work directly with the banks. After you know whether you are capable of buying or leasing your farmland, the next step is to find the right plot with the right amount of acreage for your needs and goals. 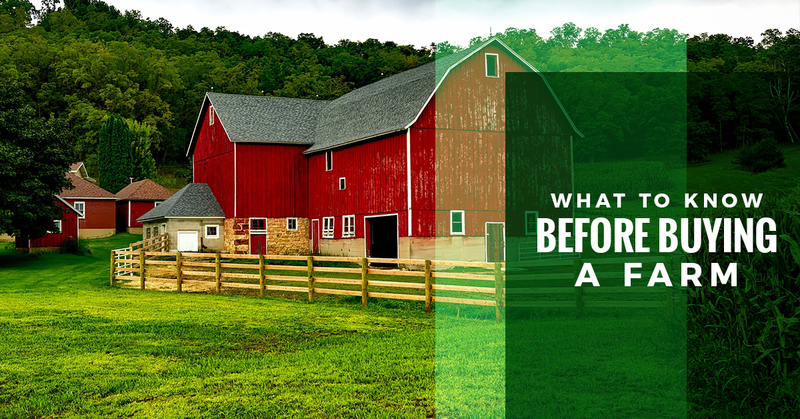 You don’t want to end up buying a farm that’s too big or too small, for instance; that can lead to financial burdens that will put you out of business before you even get started. Work with an agricultural development team which can help you plan accordingly and help you find the right farmland for sale. Once you’ve identified a few potential farm candidates, it’s time to do a little bit of surveying. What is the geography and topography of your prospective farm like? Are there hills and valleys? What type of soil is on the land? These are essential questions that you need to know in order to ensure that your goals and needs can be met. When it comes to buying farmland, you need to make sure you have someone who you can trust by your side through every step of the process. At AGPROfessionals, we pride ourselves on providing farmers, ranchers, and agriculture professionals with the tools they need in order to be successful. Contact us today to learn more and browse the farms for sale on our website to get started.